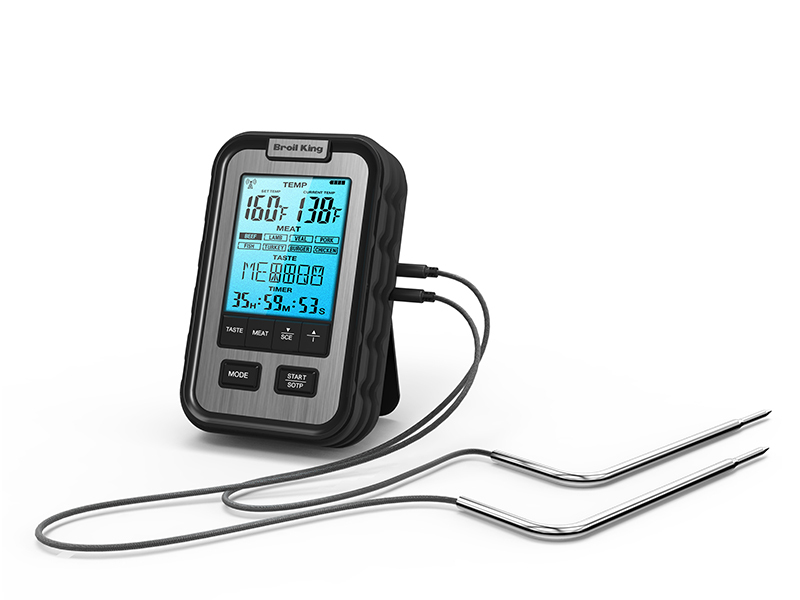 Monitor the whole cookout – reads two temperatures at one time. Two cuts of meat, no problem; a roast and the ambient grill temperature, no sweat. Integrated countdown timer and a wide range of target doneness for each cut of meat. Backlit screen, batteries not included.